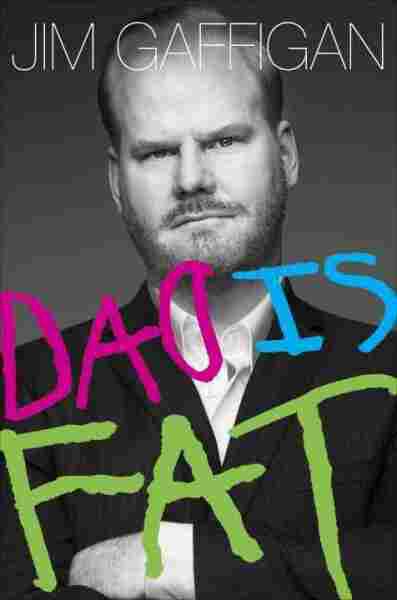 Interview: Jim Gaffigan, Author Of 'Dad Is Fat' The comedian's new book, Dad Is Fat, chronicles life in a two-bedroom Manhattan apartment with five little kids. 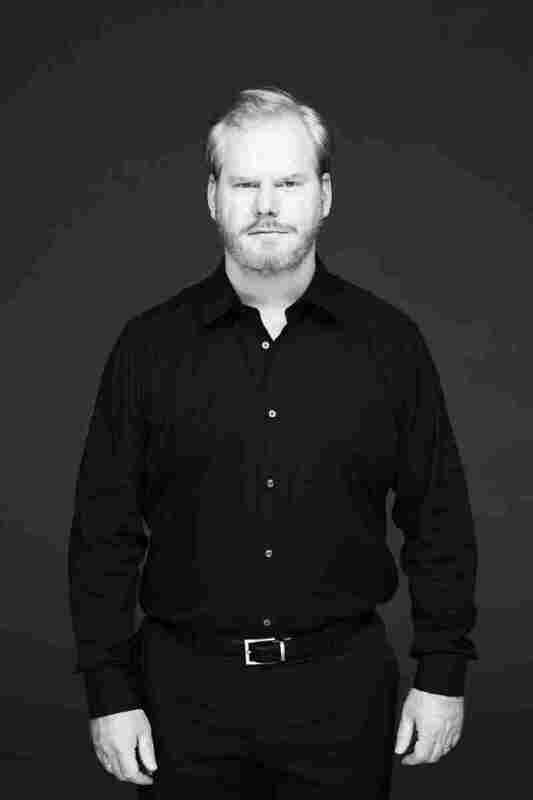 Gaffigan says having children has made him a better comedian — and living in the city has helped him raise better kids. Jim Gaffigan is outnumbered. The comedian and actor lives with his wife, Jeannie Noth Gaffigan, and five children — that's not a typo — in a two-bedroom apartment in lower Manhattan. It's a neighborhood that quite proudly abounds with hipsters, swingers, adults-only shops, men in high heels, and people who mutter to themselves on the street. But nothing may attract more surprise in the neighborhood than a Midwestern couple and their five children. Jim Gaffigan is a widely acclaimed and traveled comedian — or, as his son once put it, "a stand-up chameleon" — who may be best-known for his routines about American food, like the misery that comes with eating Hot Pockets. He's now written a book, the title of which comes from one of his children: Dad Is Fat. And it's about the challenge, complexity and pleasure of raising a large family in a small apartment. "I've had people say, 'What, do you own an oil company? I mean, why would you subject yourself to that?' And I always just tell them I'm creating my own nationality," he tells NPR's Scott Simon. "But it's absurd. Living in New York is difficult enough, and attempting to raise five kids that don't end up heroin addicts on the Bowery is pretty ambitious." "I'm a comedian, which is the opposite of a lifestyle that equips you to be a parent. So I, you know, married Jeannie, and she loved children, and I loved her, and I was terrified of it. Ten years ago I couldn't get a date, and now my apartment's crawling with babies — I don't know what happened. "In an urban setting, when you live in an apartment building, you hear everything. But if you could imagine living under five little kids, it's a crisis ... we're now on our third set of downstairs neighbors, but when our two preceding neighbors were moving, they asked us to hide the fact that we had children from prospective buyers, and the only polite thing to do, really, is to hide your existence so you can trick the next set of downstairs neighbors. But there's been moments where we've had to hide our children in a bedroom, and it feels like a scene from Sound of Music, you know." Jim Gaffigan is an American stand-up comedian. "Babies should be classified as an antidepressant. It's pretty hard to be in a bad mood around a 5-month-old baby. That's not to say that when they're screaming it's a delight, but — you see the creativity that is kind of inherent, that, you know, growing up kind of squashes a lot, and the point of view of a comedian is just to look at the world differently, and I think that children have that. There's something about being a parent that has, I think, made me a better comedian. "I'm not really sure how Moses did it. I'm sure he was like, I wanted to leave for the Promised Land two weeks ago, and I can't get everyone to put their sandals on. So if you're taking your kids even someplace where they would want to go, you could say, 'Let's get ice cream,' and they still will just sit there, as if they were unsure what ice cream is. You have to dress them, and then there's always a shoe that's missing, and then when you're about to leave, of course that's when you have to change a diaper. And if it's during the winter, you might as well just not do it, because the gloves and mittens — you know, it'll be spring anyway." "[It] really only prepares you to be parented by really exhausted parents. It doesn't necessarily prepare you to be a parent of any sort. But, you know, my parents' generation, there was a different approach, I think specifically for fatherhood. They brought home the bacon, which did not mean actually buying the bacon or bringing it home, or even cooking the bacon — they just ate the bacon ... my father did nothing, and he didn't feel guilty at all. And I right now, I have a winter sling for a baby and a summer sling, and I still feel guilty." "I understand the value of a yard. I understand the value of a kid just coming home covered in dirt because he was playing in mud. But that can also be accomplished — and there's a lot of values of living in a city environment. The people that I meet that grew up in a city, whether it's New York or Boston, I like them. They're well-adjusted. They're not freaked out by two men holding hands. They're not freaked out by socio- or economic or cultural differences, and that's, I think, an important gift to give children."